Fifty years after being given Independence by the British, many Jamaicans, especially those under the age of forty have no clue as to what law, order and discipline means. Primarily because those who took the reins of power after the colonials left thought it was wise and prudent to throw away everything that represented colonialism. They failed to realize that law, order and discipline were embedded in the institutions of colonialism. As a result we are now inclined as a society, to be lawless, out of order and indisciplined. However, one of the colonial institutions that was not thrown away was the Jamaica Defence Force (JDF) and its musical arm, the Jamaica Military Band. The JDF and its band, from the highest ranked officers to the rank of a private, represent the epitome of law, order and discipline. 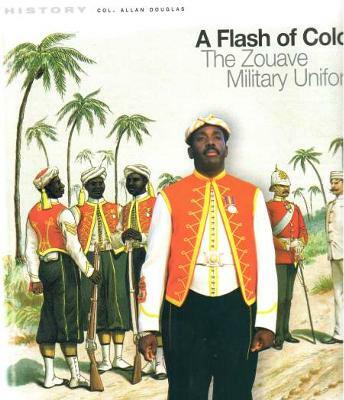 I spoke at length with Colonel Allan Douglas who wrote the article "A Flash of Colour - The Zouave Military Uniform", and asked him to share how the JDF and its band have been able to remain such an example to the rest of the nation, in terms of law, order and discipline. His view is that on Jamaica attaining Independence, and with the formation of the JDF, a British Joint Standard Training Team was put in place and a corps of British officers remained to transition and guide the newly appointed army leaders to uphold the high standards of integrity and accountability and the sound values and attitudes that are still imbued throughout the entire rank and file of the JDF. This, he said, was underpinned by the Jamaican officers being exposed to high leadership training gained at the Royal Military Academy, Sandhurst in England, and other training such as the annual military exchange training exercise ... the Calypso Hop. Another important point he raised is that the leaders of the JDF are loyal to the Jamaican Constitution first and foremost, and this loyalty over-rides and is bigger than any individual’s ambition. He compared this to the fact that native political and civilian leaders were never involved in any transition exercise and were never exposed to or allowed into the Board Rooms. So after Independence, political and civilian leaders were just left to “run wid it” … the Jamaican way of saying "to do as one likes – regardless" … and the rest of the society followed their example. He emphasized the fact that aside from being highly trained musicians, the band members are highly trained combat soldiers enlisted in the JDF. They are trained to soothe ‘troubled hearts’ with music during peace time and to fight with weapons, if and when it becomes necessary. The Military band is particularly unique and intriguing. It has direct descent from the first of the West India Regiments, which was formed in 1795. The band’s uniform was first worn by the Zouave, a body of French light infantry of North African origin. Queen Victoria had the uniform copied and introduced into her army. The composition of the uniform is intriguing because of its Moorish background, making it unique in the Western World. Colonel Douglas is of the view that the Jamaica Youth Service should have a non-combative component of military training to instil law, order and discipline, along with proper leadership skills. He suggests that like the JDF, the Jamaica Constabulary Force (JCF) should aim to train the majority of their Officer cadre outside of Jamaica, and that the JCF needs to re-introduce the marches and drills that were an integral part of the discipline and training during the colonial past. A famous and infamous Senior Superintendent in the JCF always advocated for this type of discipline and training. 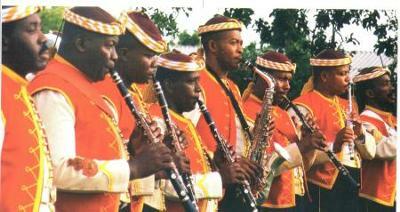 Law, Order, Discipline and the Zouave uniform have survived and flourish in the the JDF and the Jamaica Military Band. Unfortunately, I am not sure I can say the same about law, order and discipline in the wider society, 50 years after Independence. Thanks for your comments Sharon, and I do wish I could find a way to get to the authorities, especially policy-makers in the Ministry of Education. Too many of our teachers who stand before our students are not examples of the very values and attitudes that we want to impart to our children, who one day may be parents, and some will be our leaders. I would like this article to be read by all students, and also sent to the Ministry of Education for their response. Perhaps the JDF should have a youth arm where youth from all schools are mentored and invited to be guest performers. In addition, members of the JDF Public Relations team should visit schools islandwide to share their philosophy and values. First, I want to thank Valerie for writing this article on Law, Order, Discipline and 50 years of Independence, which shows that she cares deeply about her country and is willing to be part of the change needed. As part of the change, I will be attending the Back to School Conference of the Ministry of Education on Friday, July 20, 2012 to share a paradigm of systemic change in national values and additudes. I will be offering our teachers the opportunity to be the change by remembering to live their values every day in the classrooms and to agree to participate in a values-based conference to be led my the internationally acclaimed Dr Neil Hawkes (Oxford University) which I will coordinate. He helped change West Kidlington School to become a model school and showed how Living Values Education programme can create permanent change in society in 12 short years while he was the headmaster of the school. Thanks for your comments Tamika and I agree with you wholeheartedly. I am a daring Jamaican who is a part of the change Jamaica needs. Everyone is speaking about the problems facing our country, but few are looking at the solutions, or daring to be a part of the solution. Jamaica became independent when I was a few months old. I have evolved greatly since then, but alas my country has not in many ways. We boast a beautiful island but our leaders need to be accountable, and we all need to be accountable. If a group of children sits on the roadside and watches as a bully beats another child I would think that even the group of children are guilty for not acting. Just fifty years ago we valued the simple things we had and the freedoms we had. But fear cripples, and now most of us live in cages like birds. I still live in a community where I leave my windows opened at nights, where people visit just to share breadfruit or ackee, or call to find out how we are doing. And there are still many positives amidst the negativity, but values and atitudes need to be addressed. Too many of our people are illeteriate, hungry, sick and lack basisc human needs. In the ocean minnows come together and appear strong, as their defence is in numbers. The more of us join hands and work towards what we want for our children's future the more we will achieve. Problems there are, but we must be apart of the solution. Its not you and me in our 40's to 60's. Its the people born a decade or two after we gained our independence that we have to worry about. We are doing our children an injustice. We as adults and leaders need to stop and sometimes listen to the children. We are raising our children without nurturing them, so they fall along the wayside, to the first person who shows them a smile. One child at a time, we can make a difference. I am a happy Jamaican hoping that in another 50 years the moral fabric of this land I love and call home will have been repaired. There is hope. we are discussing it, now let us all be psrt of the solution. Some persons don't say anything out of fear that Government will come after them with their Tax Collector hooligans, take away their jobs or turn them into duppy. If you listen to talk shows on television and radio you will hear the many persons across the country speaking out. The problem is those same persons convinced themselves that by talking about it they are doing something. But my Grandmother always said, talk is cheap but doing something can be very expensive. The Parish Development committees need to join hands for the changes we need for our country because we have access to the CDCs and CBOs. Let us give back the people the power. If we toppled slavery and British rule, why can't we steer our government into what it should be? Drop fear and become daring for Jamaica. Thank you for your thoughtful comment Wolde. However if the small minority rules, then the majority must be their accomplices. I wish to make it clear that most Parliamentarians both past and present are disciplined and most of the general society are very disciplined, but the minority has found a way to magnify their indiscipline. If we carefully look back over the years at parliament and the general society, we will see that it has been a minority team or gang that is making all the noise and terrorizing the nation. This is like when we were going to school and there was a student that was disruptive because he/she couldn’t manage the work in class. This is how I see the politicians that are always disruptive and ill-disciplined. They can’t do what they were elected to do so they become disruptive. Some persons are good for the election campaign, but not to take care of the nation's business. Just how they were indisciplined on the political platform so they are in parliament, doing the same thing because that's all they were brought into the parties to do. The party’s leadership made the grave mistake and put them up as candidates, and as you know party faithful are so committed that if the parties put up a dog as candidate they will vote for it. We who know we are disciplined need to step up to run our beloved country and stop letting the hooligans continue to denigrate and desecrate anything sacred to us. For Jamaica 50 let us come out of our closets and also stop running away to other counties and give ourselves to nation building and share the discipline we know. Let us link the learned and the not so learned, the senior and the young, the wise and the not so wise and the committed and the uncommitted. But in these linkages good most dominate so that we can steer our beloved country to prosperity. Jamaica will then become the place where we want to live, do business, raise a family and retire in. I remember the Jamaican Military band as a child in the late sixties and during high school in the seventies. Two days ago we were driving home and passed a cherry tree on the side of the road laden with ripe cherries. Children were passing by without even a glance at the tree. When I was growing up we would steal into our neighbour's yard and pick any fruit in sight. Ripe cherries were a delicacy. And there was a fruit we called jumbilin (also jimbilin). It looks just like a cherry but it is yellow-green and sour. That did not prevent us stripping the tree and eating its sour fruits. BUt today children are been brought up to not value or treasure things Jamaican. Every person in Jamaica, upon reaching the age of 18, should be in the army, or a program run by the army, where they are be taught descipline and skills. Our leaders are to be blamed as they send a negative message to the population that they do not have to be accountable. Growing up in the sixties afforded me the opportunity to be raised in a Jamaica where the entire village raised and disciplined the child. And as we celebrate 50 years of independence I still see glimmers of the true spirit of Jamaica. The JDF is a shining example of what we are capable of as a people. 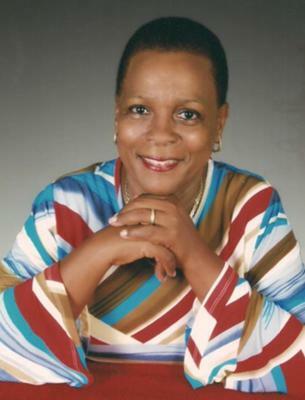 Jamaicans living overseas are often touted for their patience, discipline and work ethic. We in Jamaica must change. And we can change, not by saying we will make a change, but by being the change. We must all be a part of the solution. I am a proud jamaican with faith in our future. Join in and write your own page! It's easy to do. How? Simply click here to return to Share What You Know About Jamaica.